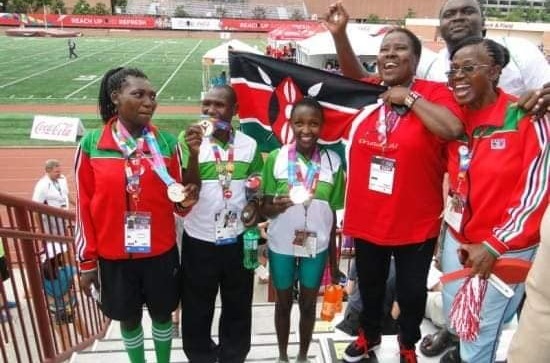 Thursday, February 14, 2019 - In 2015, Susan Gatwiri raised the Kenyan flag high at the Olympics after she bagged two gold medals. 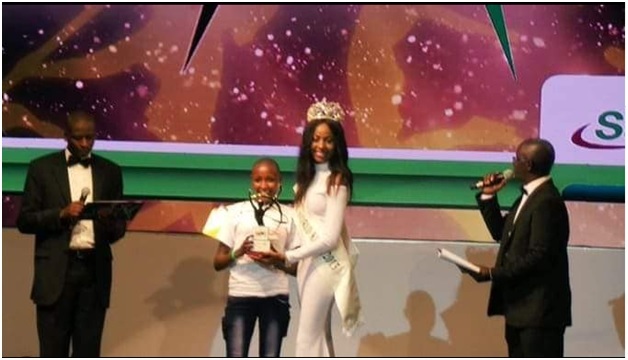 She then went ahead and bagged the coveted SOYA Awards Sportwoman of the Year after the remarkable performance at the Olympics. Back then she was in class 8. But despite all those achievements, she has been forced to become a househelp after dropping out of school due to lack of school feeds. 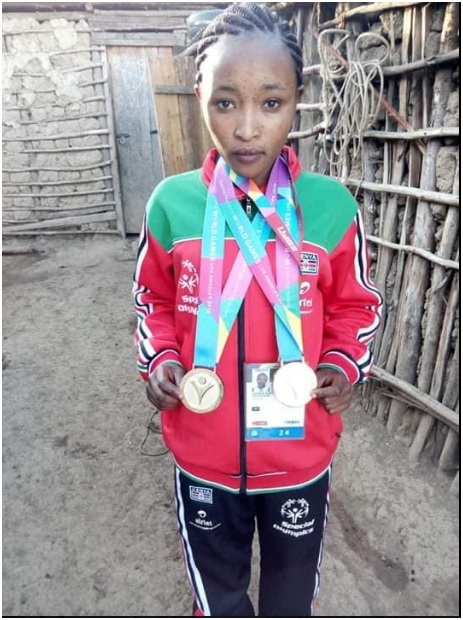 Susan claims the Government only gave her Ksh 70,000 which she used to buy her poor mother a TV and some cheap seats after she won two gold medals at the Olympics. 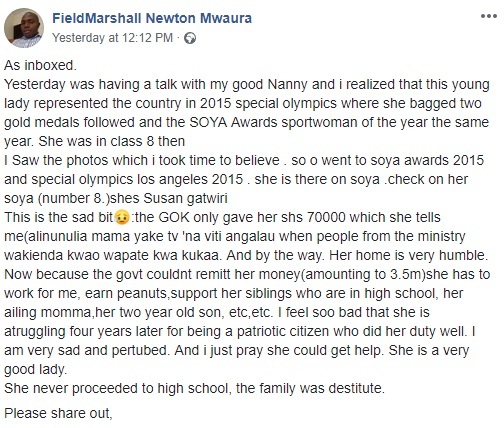 She was supposed to be given ksh 3.5 million after doing us proud at the Olympics but rogue senior staff at Ministry of Sports stole her money. This is what a man who has employed this Olympic star as a househelp posted on social media hoping that the Government will hear her grievances.